Our FigsWithBri Store is OPEN! 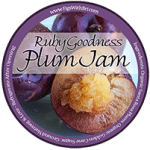 Buy prize-winning gourmet preserves; our ‘Food Is Love’ calendar with a recipe for every month; D’Gravure™ (digital) Photo Etchings of rare, heirloom, or specialty fruits & vegetables ready for framing. GREAT gifts for cooks, gardeners, weddings, new home owners, and more.